Customer Service eLearning & Onsite Training Customized Engaging Customer Service Training The Issue Is Not the Issue. How the Issue Is Handled Becomes the Issue. The Issue Is Not the Issue. How the Issue Is Handled Becomes the Issue. 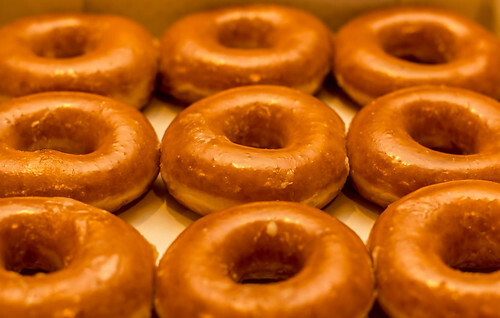 Glazed Donuts, a photo by Myra Golden on Flickr. My son is home sick today, so I went to a donut shop to get him a little treat. I got to the first window and ordered a dozen glazed donuts and chocolate milk. When I got to the second window, I was handed a box of glazed donuts and a small box with one frosted chocolate donut. The lady at the first window apparently thought I said “a chocolate donut” instead of “chocolate milk.” Easy mistake. I probably didn’t articulate well enough. I explained the error and the employee’s reaction surprised me. What followed was even more surprising. Her expression, tone, and words told me I’d really put her out. While I waited to have my debit card hit for 45 cents, I noticed there were now 6 cars in line behind me. I’m thinking, is it really worth having me wait nearly 5 minutes for this simple transaction and back the drive-thru line up by at least 6 cars? If I owned this donut shop, I would have wanted my employee to either be empowered with the knowledge to instantly take the additional charge and send the customer on her way OR make the little exchange and just eat the 45 cents. After another 2 or 3 minutes passed, the employee emerged again and said the manager couldn’t figure out how to just charge me the 45 cent difference. So he refunded the chocolate donut and charged me for the milk. Ok, whatever. Again, was the 45 cents worth having me and 6 other customers wait? Did the little mishap at the first window really warrant the aggravated tone, expression and words? When it comes to problems, the issue is not usually the issue. How the issue is handled becomes the real issue. The simple misunderstanding of a chocolate donut instead of chocolate milk is no big deal at all. The way the employee handled this made it a big deal for me. Her tone, words and the lengthy wait made a lasting and negative impression on me. Everybody thinks to train employees on the company’s products/services and to give them necessary phone skills. But very few people in customer service actually get the training they need to handle problems in such a way that they immediately restore customer confidence. But you can give your employees the training they need to make sure the way an issue is handled never becomes the real issue. Start training your people on how to handle issues in such a way that they delight customers and create moments of magic –and not moments of misery. 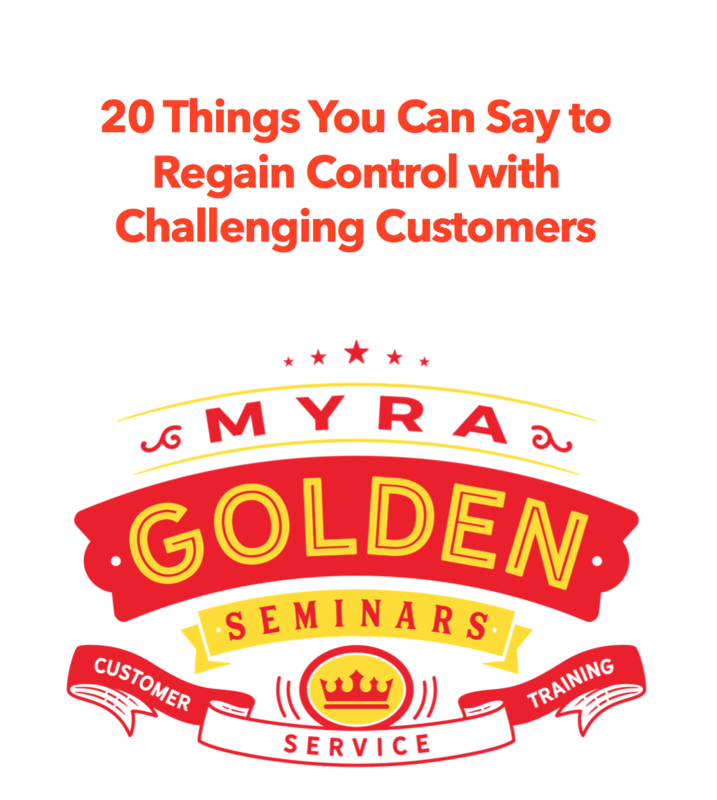 In my customer service online training I dedicate a full course to how to handle problems and complaints: 5 Keys to Restoring Customer Confidence After a Problem Occurs. In that course module, I share a problem response letter I received from American Airlines. This is one of the best letters I have ever received from a company! The letter restored my confidence in American Airlines. It got me literally saying, “Wow” and it is the picture-perfect model of how to respond to a problem. If you’d like to see this perfect problem response letter from American Airlines, just come on over to this page where I discuss the letter in a 6-minute video taken from my online learning suite.